Phil Lord and Chris Miller's last job didn't exactly pan out, but fortunately that hasn't stopped their winning movie-making formula. The duo's next flick is an animated Spider-Man movie and, well, it looks amazing. 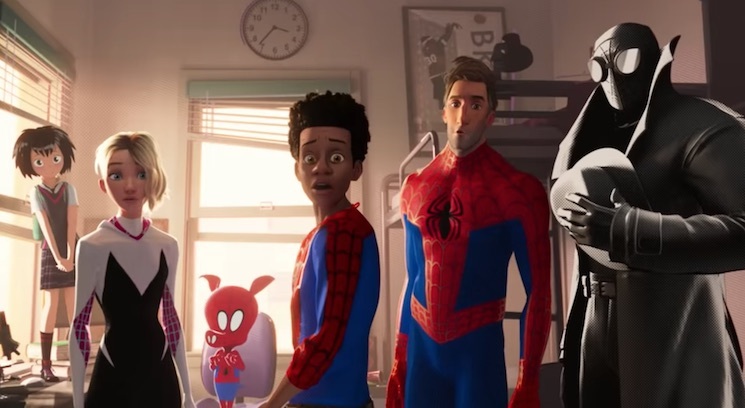 Into the Spider-Verse sees Miles Morales cross paths with numerous Spider-Men (and women, and a pig) from other dimensions. It looks like a high-concept comic book movie, but also one that's full of jokes. Watch the trailer for Into the Spider-Verse below. The film hits theatres on December 14.